Free. 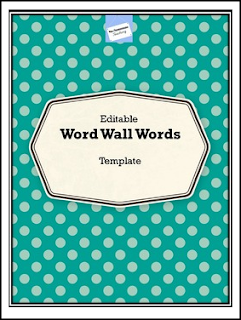 Create your own Word Wall words! Use this template to create your own words to post on your Word Wall. Construct an authentic Word Wall by collecting misspelled words from your learners' writing and using those words as part of your Word Work lessons. Also, look for 'Unscramble the Word' Free Template to use as a word work activity or ELA center.